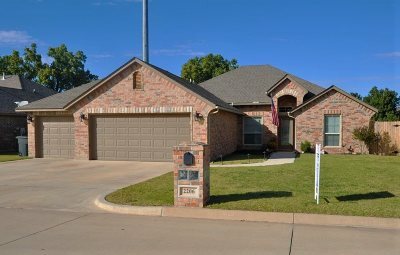 What a beautiful home and it&apos;s absolutely move-in ready. The living room, dining and kitchen areas offer an open floor plan with a very spacious feeling. There is a mother -in-law floor plan with the master bedroom offering an in suite bath. The covered patio is a perfect place for those family cook outs with it&apos;s built in gas grill. The 3 car garage offers room for a work shop and has a storm shelter for your peace of mind. Take a look at this dream home today.